There will also be a heavy emphasis on vocational training, skills upgrading and continuing professional development at Geomatics Indaba 2017, through an intensive series of practical, hands-on training workshops. Dr Rosalie Kingwill is a Research Associate at the Institute for Poverty, Land and Agrarian Studies (PLAAS), University of the Western Cape, and an independent academic and applied researcher specialising in land tenure reforms and property systems. According to the World Economic Forum we are on the brink of the “fourth industrial revolution”. The way we interact with each other, the equipment we use and the way we collect, analyse and use information is changing in a fundamental, irreversible way. As geomatics professionals we need to lead the way in which data is represented, used and understood by the public. In the geomatics arena, drones, laser scanning and remote sensing has become standard tools used on a daily basis throughout all of our disciplines. The question in these difficult economic times is, how can we use these technologies to create value and what mechanisms can be put in place to ensure that the geomatics professional remains up to date and ahead of the curve of technology adoption? The interconnectivity of equipment and the enormous potential of remote data gathering creates opportunities but these needs to be tempered through the guidance of the geomatics professional. It has been said by some futurists that up to 50% of the jobs we know today will no longer exist in 10 years time. This workshop will explore mechanisms and opportunities to exploit the technological revolution to its fullest. Geomatics practitioners and more specifically Land Surveyors should not forget that survey is only a means to an end with many pre - and post survey activities. Before the activity of measurement for the preparation of a plan or diagram, practitioners should be trusted to such an extent that their opinions are sought as a first stop to give guidance to a developer or client. As land professional, they must have the knowledge to give advice on the conditions in the title deed, the clauses in the town planning scheme, the policy in the Integrated Development Plan and Spatial development Framework, legal judgements on the large volume of legislation controlling land use, as well as to advising the client on procedures regarding land development. As a land professional the client must be able to rely on the practioner’s advice and be trusted to the point of acting on the client’s behalf. This workshop will give an overview of Land Use Management, Town planning Schemes, Land Development Applications and Appeals with the purpose of capacitating members from the Geomatics Fraternity. Don’t miss this ground-breaking opportunity of taking your practice forward in terms of additional service offerings to your clients. For the first time in South African aviation, the Institutes will be working with the Civil Aviation Authority to oversee its own portion of the industry, namely drones in Geomatics, with the goal of simplifying and encouraging compliance. Listen to the proposed model for an Industry RPAS/Drone Company. Expressions of Interest will be taken at the conference on a first come first served basis as the company does have a CAA imposed cap on the number of member owned drones permitted within the scheme. Kent&Co is a groundbreaking firm, that caters for the market gap between traditional law firms and day-to-day flight operations. This puts Kent&Co in a position to be able to provide much needed legal services to the largely neglected aviation industry. Challenging norms is a fundamental component of Kent&Co’s goal of developing aviation in South Africa. The aim of the workshop presented by Pearl Nkosi is to challenge the current mindset and approach to health and safety in the South African Mining Industry as well as provoke industry professionals and organized labour unions to do more in order to facilitate the achievement of zero harm. Health and Safety in the Mining Industry is a very broad yet every single aspect plays a significant role in health and safety in the mining industry. The discussion point for my workshop will be the South African Mining Health and Safety journey so far and beyond under the topic “At the rate at which we are going, will we ever achieve Zero harm?” I will be looking at where the journey began, the motivation for the journey and what we still need to do in order to further improve on the industry performance. Dr du Plessis is currently coordinating research towards joint qualifications that could be offered to facilitate duel registration with the SAGC, upgrading between different levels of registration and contribute towards CPD in the geomatics profession. A workshop to inform industry on the progress of this work and to invite further input from the geomatics profession has been arranged for the 21st August 2017. Kindly consult your GI Conference programme and support this initiative where he, together with Professors Serena Coetzee and Julian Smit, will look forward towards your contribution. Dr du Plessis has been employed by the Department of Rural Development and Land Reform (including preceding Departments), Chief Directorate of National Geo-Spatial Information (CDNGI) since May 1971. He resigned from the Department in May 2014 to complete his PhD at University Stellenbosch (December 2014) and started his own practice specializing in capacity building in the rural development areas of South Africa. He is an independent contractor to ESRI South Africa working towards the development and implementation of an online Diploma in GISc&T. Dr du Plessis works closely with the DHET through the Strategic Infrastructure Projects (SIPS) to promote practices and procedures that seek to ensure that infrastructure development is not undertaken merely in a transactional manner, but in a manner which seeks to advance national development goals, including local industrialization, skills development, job creation, youth employment, small business and cooperatives development, broad-based economic empowerment and regional economic integration. He is a member and Vice President of the previous South African Council for Professional and Technical Surveyors (PLATO), Chairperson of the Education Advisory Committee, convener of the Accreditation Panel and the GISc Assessment Sub-committee. He is further a current member of the SAGC and carried forward during the transitional period the work of the Education Advisory Committee until the new Education and Training Committee has been established. 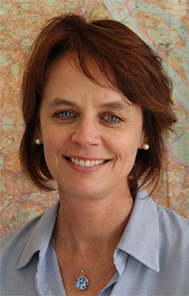 Dr du Plessis is the LGSETA / SAGI Programme manager. The programme serves to provide funding for bursaries and workplace learning leading towards registration with the SAGC. He is a guest lecturer at Stellenbosch University, Department Environmental Science and Geography, since 2011. Lecturing modules in GISc related legislation (Law), Professionalism and Ethics. He authored and co-authored various peer-reviewed articles published in the South African Journal of Geomatics (SAJG), presented papers at national and international conferences and authored a number of articles for PositionIT. Presented by: Ms Maroale Chauke, NSIF, Secretariat for the Committee for Spatial Information (CSI) and Prof Serena Coetzee, University of Pretoria, Interim Chair: CSI Subcommitte on Education and Training the SASDI Workshop aims to inform delegates about work by the Committee for Spatial Information (CSI) and its subcommittees to support stakeholders in the implementation of the South African Spatial Data Infrastructure (SASDI). SASDI is established by Section 3 of the Spatial Data Infrastructure Act (SDI Act No. 54, 2003) as the national technical, institutional and policy framework to facilitate the capture, management, maintenance, integration, distribution and use of spatial information in South Africa. The CSI, also established by the SDI Act, is responsible for achieving the SASDI objectives. The SASDI Regulations and SASDI Compliance Guidelines are in place, and the focus will now be on implementing SASDI and creating an enabling environment to support spatial decision-making. The workshop is part of the programme of work of the CSI Subcommittee on Education and Training, which supports the CSI in achieving SASDI objectives through education and training of CSI members, CSI Subcommittee members, data custodians and end users. Joseph Komane will be presenting about steps to develop capacity in the implementation of steps to address the identified scarce skills for the implementation of SIPs. He is the Skills Development Practitioner at Council for the Built Environment (CBE). The Council for the Built Environment (CBE) is statutory body that was established under the Council for the Built Environment Act (No. 43 of 2000) as an overarching body that coordinates six Professional Council for the purpose of instilling good governance within the profession, transforming the profession and advising South African Government on Built Environment (BE) related issues through the Department of Public Works. Joseph Komane represents the CBE as an Intermediate Body for Professionals and Associate Professionals on the Department of Higher Education Training (DHET) Special Projects which as one of its objective is to develop Skills for and through Strategic Infrastructure Projects (SIPs). He has BCom Honours in Industrial Psychology and more than 17 years working experience in the Education, Training and Development environment in both private (African Explosive Limited and Group 5) and Public sectors (Legal Aid SA and CBE). Peter Newmarch (President of SAGI) is currently working on certain aspects of the Geomatics Act along with other Institutes (GISSA and IMSSA) on matters of work reservation and recommended fees – for Council to consider. This workshop will give a brief overview of key issues in the Act and inform industry on the progress of this work and to invite further input from the geomatics profession. Kindly support this initiative where he, together with Mr Samuel Osei look forward towards your contributions and thoughts.